Berserk and the Band of the Hawk doesn’t have many playable characters. 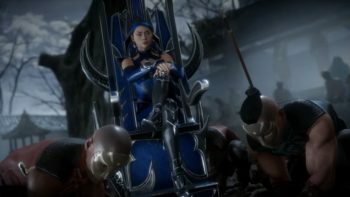 However, the developers managed to inject a lot more variety by giving each character that is available multiple outfits which not only change their looks, but alter their power and abilities as well. 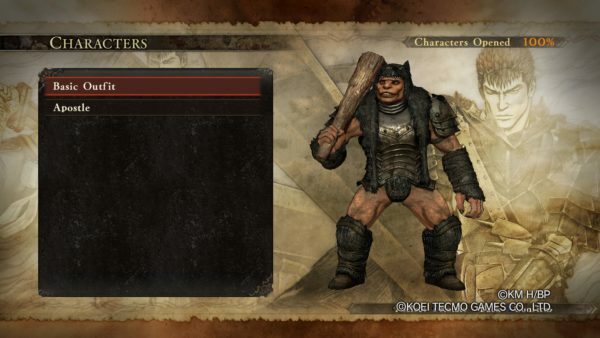 Luckily, all of the outfits in Berserk are straightforward to unlock, although it may take you a while. Guts is the main protagonist of Berserk and the Band of the Hawk, so there’s no surprise that he has the most outfits that you can switch between as you play through the story and other modes available in the game. 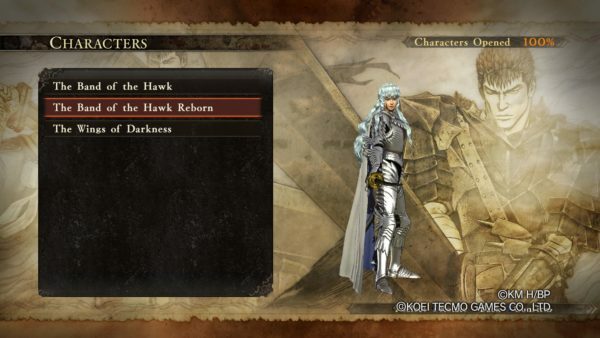 This is your first skin in Berserk and the Band of the Hawk. 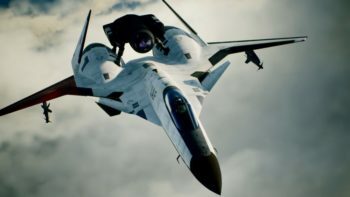 It has no Sub-Weapons at first, so it’s very basic. It’s slow, but uses a lot of power in its blade attacks. You can get a helmed version (meaning same thing with a helmet) by completing 10% of the Endless Eclipse (six desires). Very similar to the standard Mercenary outfit, only you now have a red cape and can use throwing knives. Unlocked through the story. There’s a version of this outfit with a helmet as well, and you can get it by completing 50% of the desires in the Endless Eclipse. Adds a powerful gun to the the previous outfit. Unlocked through the story of Berserk and the Band of the Hawk. 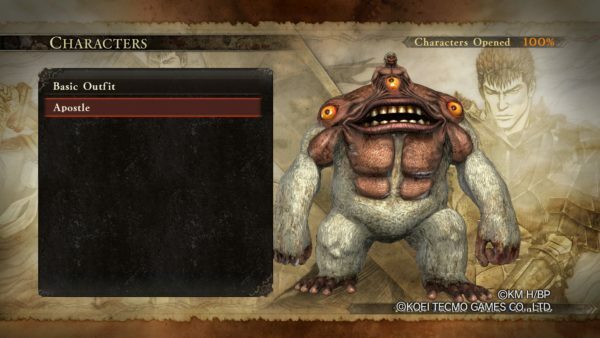 You’ll obtain this after completing “The Morning of Departure.” It’s the standard Guts outfit that most fans will remember from the Berserk anime. This outfit also adds on explosives and a crossbow. 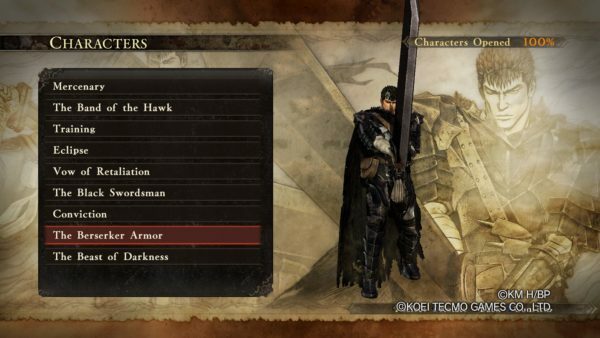 This set is unlocked after completing the mission “The Berserker Armor.” You’ll also end up unlocking the Transform ability for Guts to use. Guts’ most powerful outfit in the game keeps him in instant Berserker mode. It’s faster and capable of building up its Frenzy and Death Blow gauge rapidly. You also get the Full Barrel Cannon Blast Sub-Weapon, which is one of the best in the game as it deals massive damage, even to bosses. The trade off for all the speed and power, though, is that you can’t use your horse. You can unlock this outfit by completing 100 Layers of the Endless Eclipse mode using Guts. Griffith is the main antagonist of Berserk and the Band of the Hawk, as well as one of your strongest allies through the first half of the game. He’s one of the best usable characters in the game, utilizing both power and speed to control the battlefield and come out victorious. He also has three different outfits to choose from. This is Griffith’s standard outfit and is available from the moment you unlock him. You can obtain a helmed version of this armor by completing Layer 10 of the Endless Eclipse mode using Griffith. Griffith’s outfit after he revisits earth to claim his dream is unlocked by completing 80% of the Desires (48 Desiress total) in the Endless Eclipse. The version with a helmet will require you to use Griffith to beat 100 Layers. Griffith’s demon king form is one of the toughest to unlock in Berserk and the Band of the Hawk. It not only requires you to play through the Endless Eclipse, but you must complete all 60 Desires available. 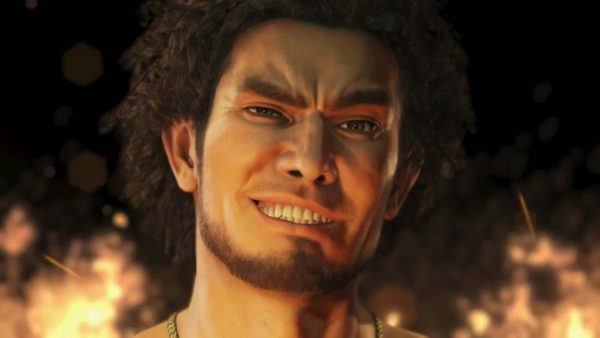 It’s worth it though, as his power over space and time are unparalleled, plus he’s one of the most swift characters in the game. Combining speed and pure power makes him an unstoppable force on the battlefield. Casca is one of the central characters in Berserk and the Band of the Hawk. She uses her skill with a blade as well as her ability to rapidly stun enemies to control the battlefield. She has two different outfits in the game, both of which have helmed versions. This basic outfit is her first set of clothing when you unlock Casca. The helmed version is obtained by completing Layer 10 in the Endless Eclipse with her. This outfit is unlocked in the story of Berserk, after completing “The Fugitives.” You can unlock a version in which Casca wears a helmet by completing Layer 100 of the Endless Eclipse with her. Judeau is one of the original members of the Band of the Hawk and utilizes twin daggers as well as tons of throwing knives to deal rapid damage to large groups of enemies. He’s unlocked very early in the story of Berserk alongside a few other members of the group, and like Casca has two different outfits. This is Judeau’s basic skin. You can unlock a helmed version by using him to complete Layer 10 of the Endless Eclipse. This outfit is unlocked later in the story, after you rejoin the group. A helmed version can be obtained by using Judeau to complete Layer 100. Serpico is the swift swordsman that serves as the right hand to lady Farnese and is a member of the Holy Iron Chain Knights. He’s quick and utilizes the power of the wind alongside an elvish relic known as the Sylph Sword to rapidly dance around the field and deal deadly combos to enemies. 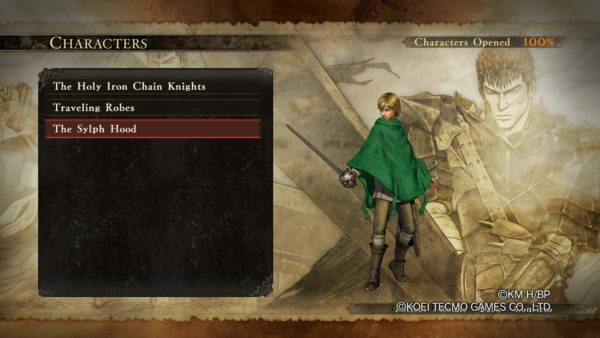 He has three outfits in Berserk, although two are just different versions of the same thing. 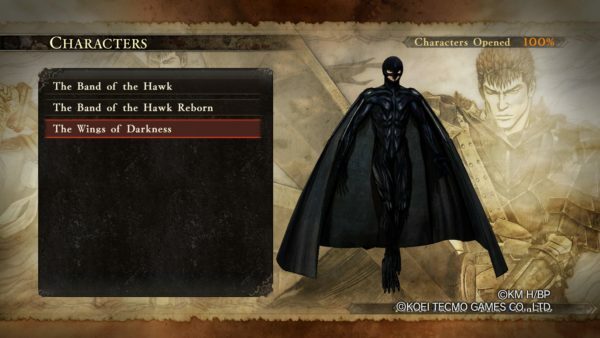 You can unlock this costume in Berserk and the Band of the Hawk by using Serpico to make it past Layer 50 in Endless Eclipse. You can also unlock a helmed version (meaning it has a helmet) by completing Layer 100 with him. The cool looking green hood, which gives Serpico a Survey Corps. 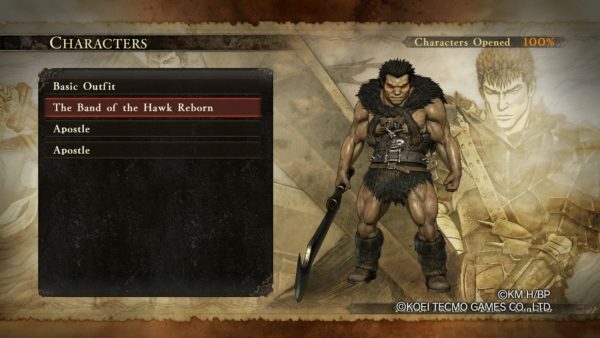 vibe, is the default outfit he has when you first unlock him in Berserk and the Band of the Hawk. Schierke is a powerful little witch that relies on summoning Golems while fighting battles in Berserk and the Band of the Hawk. She doesn’t have much in the way of outfits though. She has her basic one that’s available once you unlock her, and then a hatless version of the same thing. 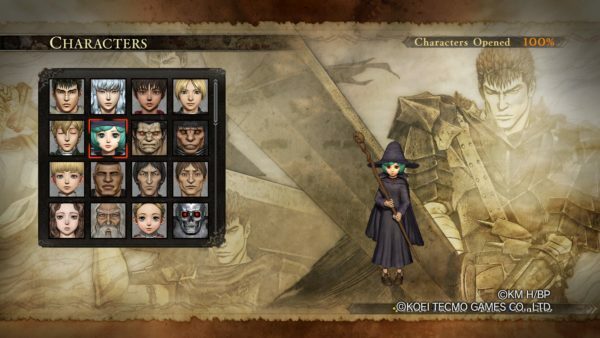 In order to unlock the hatless version, you’ll have to make it up to and beat layer 100 using Schierke. This is the first skin you get for Zodd and is available as soon as you unlock him. This outfit is what Zodd dons after joining Griffith in his new Band of the Hawk. In order to unlock it you’ll have to complete 70% of the Desires in the Endless Eclipse mode. There are 60 in total, so you’ll have to beat 42 of them. This unlockable outfit allows you to bypass Berserk and the Band of the Hawk’s transformation mechanic. You’ll get instant and unlimited access to Zodd’s most powerful form. In order to get this skin, you’ll have to complete 100 Layers of the Endless Eclipse with Zodd. This one comes with Wyald when you unlock him. Wyald’s Apostle outfit allows you to play as his ultimate form without having to transform, granting you unlimited access to its extra damage output. Unfortunately, you’ll have to face a huge challenge to unlock it, and that’s completing 100 layers of the Endless Eclipse with this character. Now that you know how to unlock all the outfits in Berserk and the Band of the Hawk, you can mkae your characters deadly forces to be reckoned with on the battlefield. 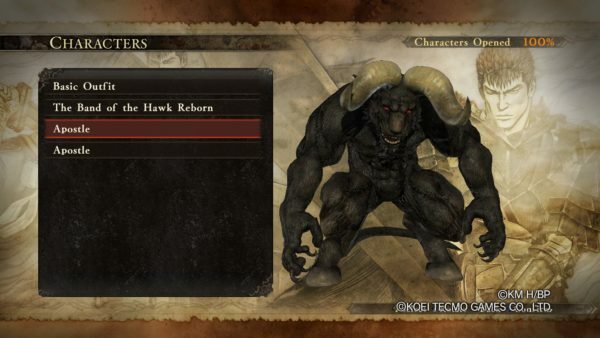 For more help, tips, and guides on Berserk and the Band of the Hawk, make sure to check back with Twinfinite.